Welcome to the SFR, PNR, and Fantasy Romance Sale! 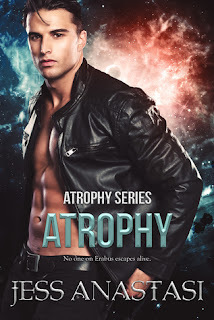 There are over 40 books by your favorite authors, including some that are members of the Science Fiction Romance Brigade. 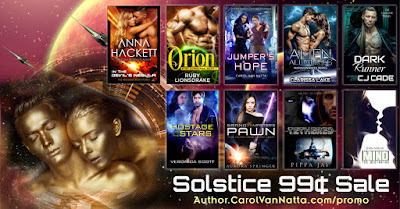 So many wonderful books and all are either FREE or 99cents. Grab some summer reading! 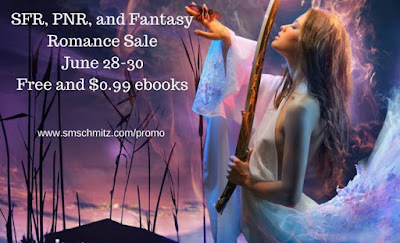 Follow this link to get to the sale, which runs from June 28-30th: http://smschmitz.com/promo . Atrophy focuses on one ship, the Imojenna, which has an amazing crew with memorable characters. Zahli's brother Rian has a tendency to steal the show, and he involves Tannin in his berserk quest to destroy an enemy most people don't believe exists. I've a soft spot for computer hacker heroes, and Tannin gets to use his skills in many interesting ways. The universe is rich and believable, and the antagonists are original and creepy. The plot kept me guessing, and the scenes are well-balanced and flow together smoothly. It's the last day for you to grab 9 out of this world titles for just 99 cents each. Click on the banner or HERE to be transported to the home base and select your preferred retailer.